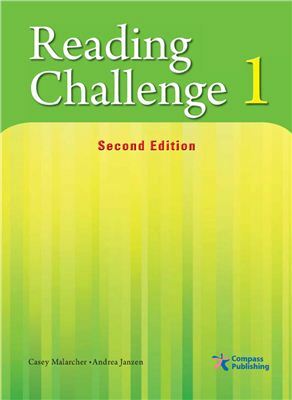 Reading Challenge, Second Edition is a three-book non-fiction reading series designed for intermediate to advanced English language learners. The series presents a wide range of topics through controlled language aimed to engage the interest of readers while ensuring that the content remains accessible. The graded reading passages found in three books of the Reading Challenge series allow learners to comfortably progress from easily accessible readings to more challenging ones through repeated exposure to frequently encountered non-fiction language structures and vocabulary. In addition to developing students’ reading skills, the exercises in the Reading Challenge series provide learners the opportunity to practice listening, speaking, and writing through activities specifically targeting each of these skills.